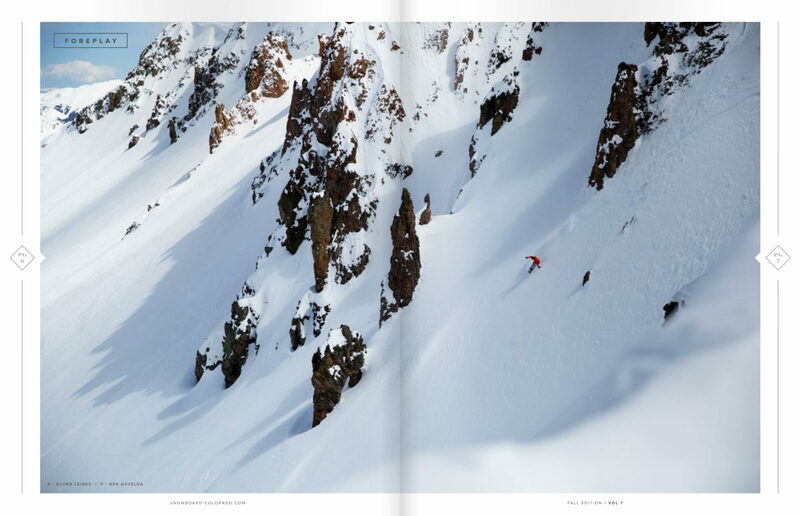 Snowboard Colorado Magazine, Volume 7. 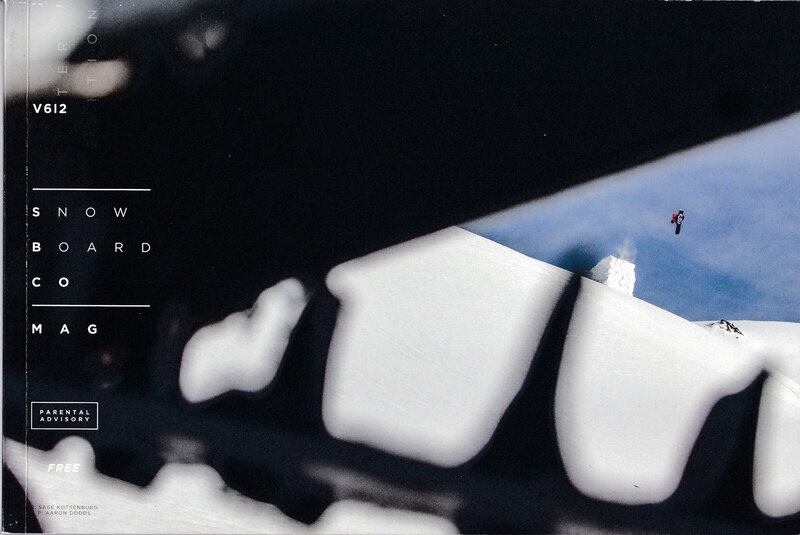 Bjorn Leines at Sheepshead Cabin. 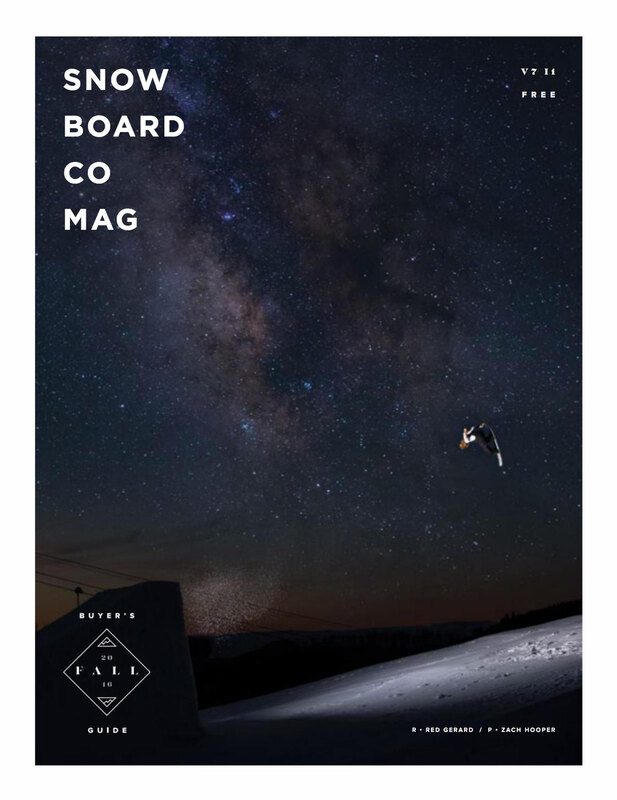 Snowboard Colorado Magazine, Volume 6. 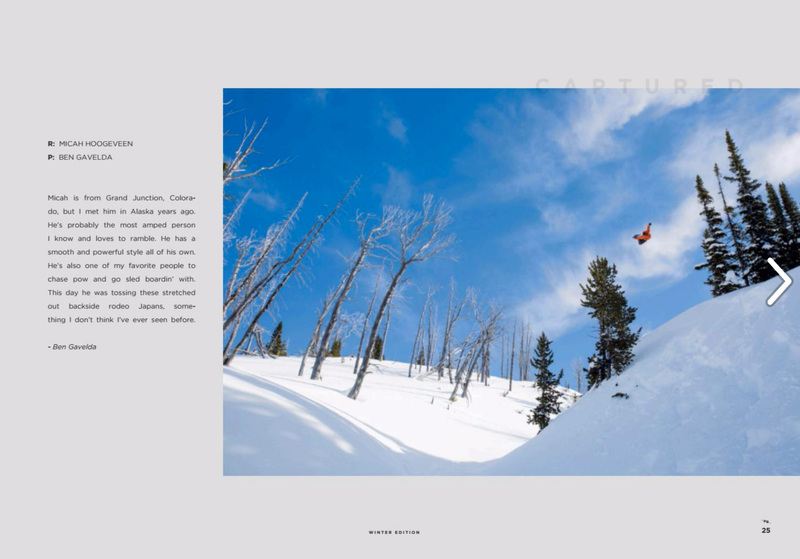 Micah Hoogeveen in Cooke City, Montana.